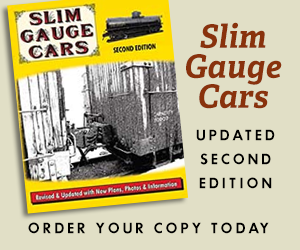 Enjoy our exclusive online features related to HO scale narrow gauge model railroading, contributed by our readers and staff. 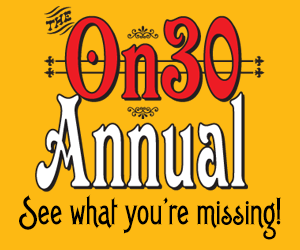 The HOn3 Annual welcomes your submissions of brief articles and creative photo galleries. Please send your inquiries to the Webmaster for consideration. HOn3 Extra Board features extra content we just couldn’t fit into each jam-packed issue of the HOn3 Annual. We also welcome your contributions for exclusive features related to HO scale narrow gauge model railroading. Enjoy our Product Reviews of great new narrow gauge products of interest to the HO scale model railroader, presented by the HOn3 Annual staff. Please contact editor Chris Lane to have your product considered for review. Welcome to the HOn3 Blog, where HOn3 Annual editor Chris Lane will post occasional reflections on the hobby, modeling, and just about anything else he feels like. It’s quite a ride, you won’t want to miss it. All aboard!